Start your holiday in total relaxation with a wonderful spa treatment. Palm Cove has built its fame as the “Spa Capital of Australia" and its easy to see why, as a destination that offers a serene setting, luxury resort accommodation, wonderful dining experiences, alluring tropical climate and the ease of getting there. Alamanda Palm Cove Day Spa is a multi-award winning spa, and a true sanctuary for the body, mind and soul. Featuring 8 deluxe treatment rooms (6 of which are ideal for couples), and 3 open air with their own private plunge pool and unrivalled beachfront views. 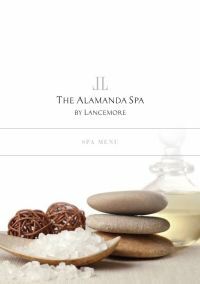 Alamanda Spa offers the ultimate in rejuvenating massages, indulgent facials, revitalising body polishes and body wraps as well as beauty treatments. A welcoming iced hibiscus tea, all-Australian, all-natural organic products, outdoor showers and private infinity edge plunge pools beautifully complement the spa therapies. Give your body a well deserved tune up all over with this ultimate treatment that combines all of The Spa’s signature therapies - 30 minute honey sesame body polish, 30 minute avocado smoothie body wrap, 60 minute body massage and 60 minute facial. What others are saying: "I had a fantastic massage at day spa", "Marianne's treatments at the spa are just beautiful", "Paradise is sitting on the balcony at Alamanda looking through the Palm Trees at the lovely Coral Sea", "Massages at spa were wonderful. Very friendly and helpful staff"
Operated by world recognised Exclusive Spas of Australia, Peppers Beach Club Spa boasts five purpose designed treatment rooms, 3 dry rooms and 2 wet rooms overlooking the resort pool & waterfall. Exclusive Spas Australia are the first Spa in the World to launch the Kodo Gubbera Hot Stone Treatment - a ritual using primordial rocks found only in the far reaches of the Kimberley Never, Never. In this amazing spa ritual you will experience the powerful energy of the Daintree Naturals locally sourced, hand crafted and poured clays & oils. This ancient ritual will rejuvenate the spirit, mind & body with purifying ‘smudge pot’ Daintree Ochres, Black ash clays, smoked Paperbark oil, Kakadu or Wattle seed salts. Relax with a cleansing body buff, a warmed clay wrap, and a head & hair masque with hot towels followed by an invigorating rainforest waterfall under the warm Vichy shower...Bliss! What others are saying: "Hands down, the Sapphire Sea Treatment is the best spa treatment we have ever had. After two hours we came out completely reset. It was like someone hit "control-alt-delete" and we were completely rebooted!" Vie Spa is located within the Pullman Palm Cove Sea Temple Resort and features 3 beautifully appointed treatments room, 2 with private outside verandas leading onto a man-made rainforest, where you can relax and unwind after your treatment. All massages begin with a balancing Ikou rainforest foot ritual which consists of a soak and a wash in relaxing bath salts, followed by the application of a cooling cucumber mask. Ergonomically designed massage tables ensure neck, spine and leg muscles are cradled in complete comfort, whilst taking the strain off any pressure points. Tables are also heated to ensure the body's temperature remains constant throughout the entire treatment.The spa suites, relaxation areas and grounds add to the overall relaxation experience. Only 100% natural and organic oils infused with pure essential oils are used, so you can drift into bliss - restore, revive, re-invigorate - and above all relax. 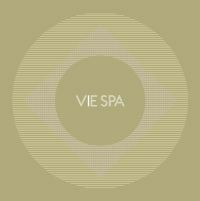 What others are saying: "I indulged in a 50 minutes facial at Vie Spa located at the Resort which I truly enjoyed." Relax, unwind and be pampered at the Palm Cove Retreat Day Spa, located at the reception of Mantra Amphora Hotel. The spa features 4 beautifully designed treatment rooms, spa baths, sauna, locally hand crafted Vichy tables, couples retreat and serenity lounge - an absolute haven for the tired and overworked! Offering amazing relaxation treatments such as Body Detox Therapies, Massage, Advanced Anti-Ageing facials, Exotic Body Therapies, Manicures, Pedicures, Skin Solution Facials, Hot Stones Massage and Blissful Spa Baths. Need time out from all the stresses of day to day? Well this is for you, Exotic Lime & Ginger Salt Glow or Frangipani Body Melt, washing all the stress away with our amazing Vichy Shower. Then choose from any one of our beautiful Elemis facials & combine it with Deep Tissue Muscle Massage, tailored to your needs. Pure relaxation and bliss! 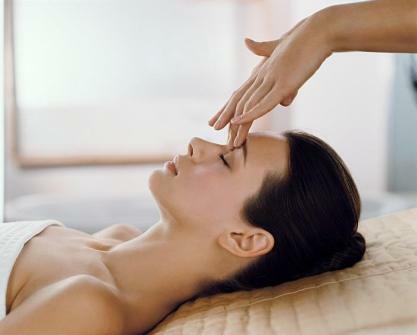 What others are saying: "Very relaxing frangipani exfoliation, Vichy shower and massage. Lovely therapist and good value with their special offer"
There's nothing more stressful than racing to a massage. You don't want to turn up in your biker gear. You can't relax if you're answering calls, checking emails, and texting. More pressure, less pressure, quieter music, a blanket if you're cold, turning the table warmer off. Your comfort is most important. You can talk during the treatment or be still, as you choose. The therapist should follow your lead. You don't have to jump up instantly, but the therapist likely has another client after you so don't linger too long. Most spas have a 24-hour cancellation policy.